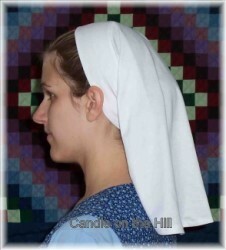 A favorite of many ladies, this is a comfortable and easy to wear veiling. Works especially well in lightweight knit (stretch) fabrics. Includes two versions and child sizes!